Joaquin Castro took issue with Rep. Steven King's remarks about immigrants. Congressional Hispanic Caucus Chairman Joaquín Castro, D-Texas, did not hold back when reacting to Rep. Steven King’s remarks on the House floor. King, who has been under fire for comments he made to the New York Times about white supremacy, was stripped of his new committee assignments Tuesday. In an interview with ABC News’ The Briefing Room, Castro said this is not unusual behavior for King, "He’s been demonizing immigrants and brown people for a long time. And he crossed the line." 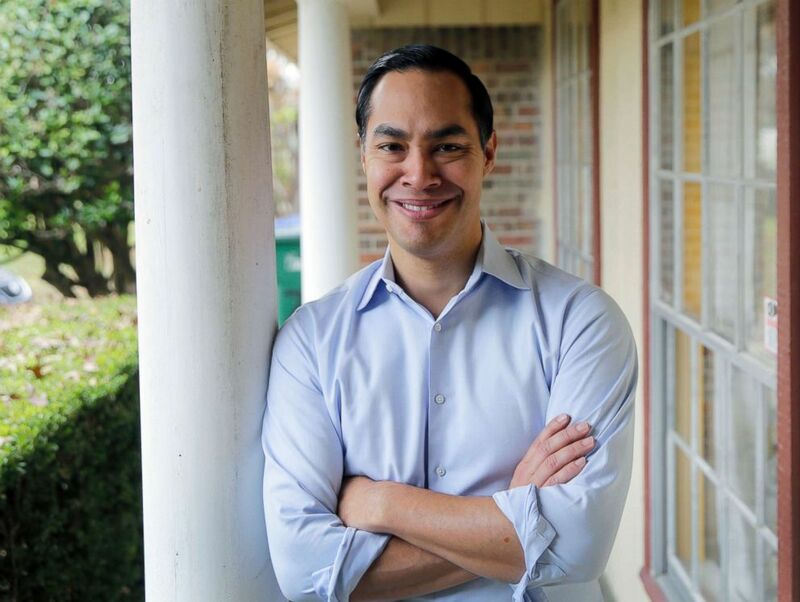 (Eric Gay/AP, FILE) Democrat Julian Castro poses for a photo at his home in San Antonio, Dec. 11, 2018. He also reacted to the court ruling against the White House’s attempts to ask a citizenship question on the 2020 Census, "Those folks over at the White House are trying to use the Census as an act of intimidation, to basically get people to stay in the shadows -- and that’s undocumented immigrants and others," Castro said. Watch the video above for the full segment.